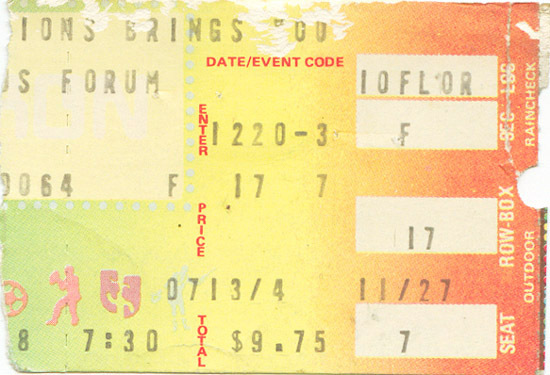 The third night at the L.A. Forum would bring the tour to a close. During Fat Bottomed Girls, like in New York, naked girls on bicycles joined the band on stage. 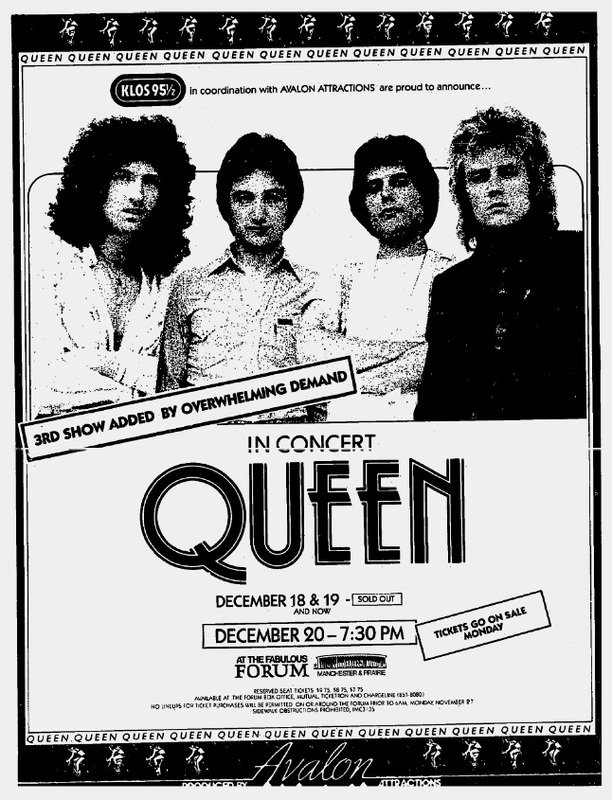 Freddie reportedly rode a bike as well, and passed it off to his roadie, Bryan Sullivan, and then continued to sing. They apparently encored with the old faithfuls Big Spender and Jailhouse Rock.